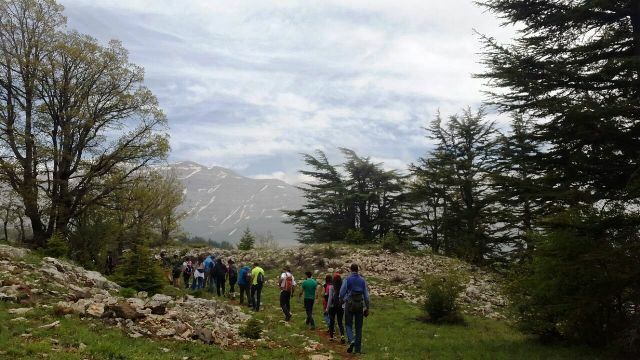 As the season of blossoming nature arrives, the long-awaited escapades into the beautiful outdoors of Lebanon are finally back. 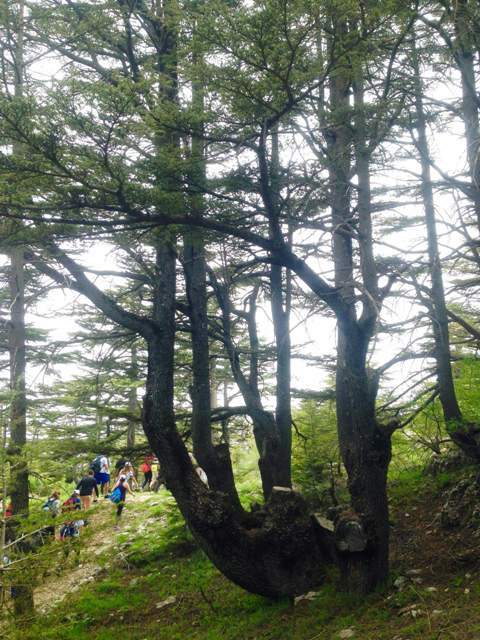 This year, I’ve welcomed Spring with a beautiful walk in the Cedar Reserve of Tannourine, North Lebanon. 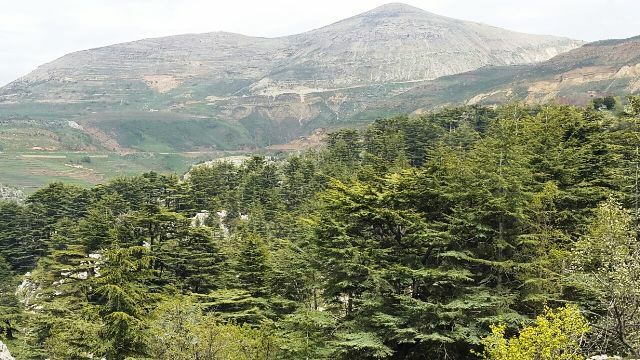 For those unfamiliar with this reserve, it is interesting to know that it is the biggest cedar forest in Lebanon in terms of tree density. 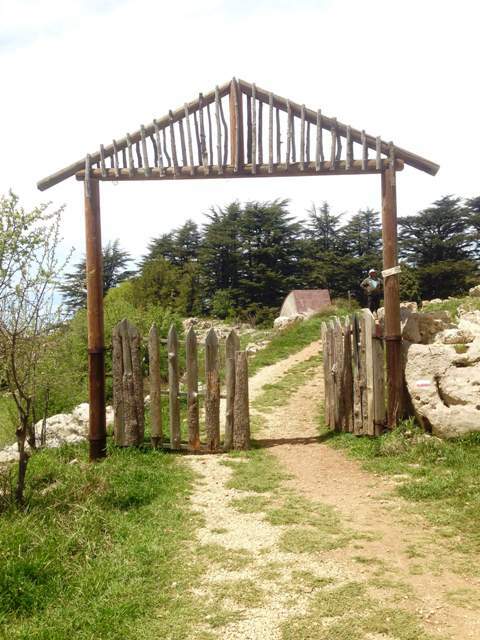 The reserve stretches over 750 hectares and counts around 70,000 ancient cedar trees (the oldest of which was found to be 750 years old) as well as a variety of other tree species. the majesty and strength of a cedar tree defying time! 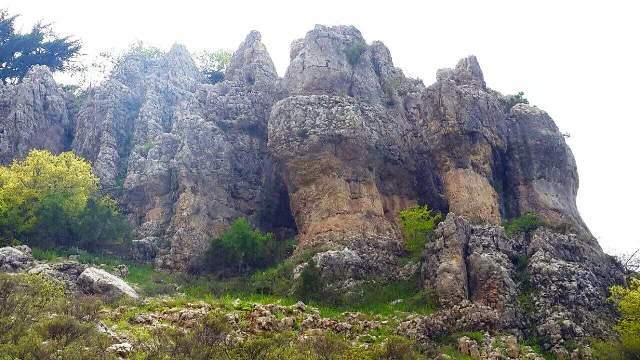 Tannourine’s reserve offers 5 hiking trails for now, each of different difficulty level and altitude. The moderate trail we hiked today was a 4-hour beautiful walk (1,700m altitude) offering stunning mountainous landscapes. 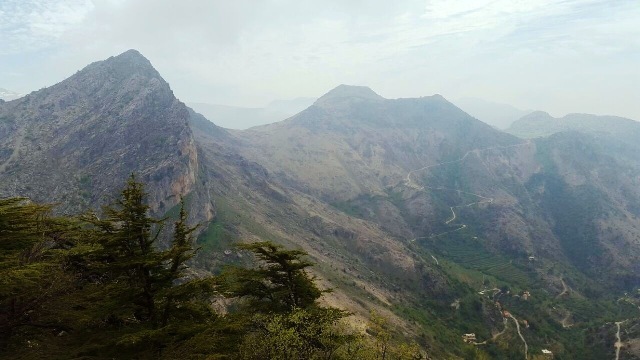 gorgeous view over Wadi Ain el Raha! It’s also worth mentioning that the reserve was declared an important bird area in 2006 and is home to many rare flowers. It is open in winter as well for snowshoeing trips.